Ben Livson, Senior Project Manager at Westpac Bank (IBM) Australia "DNSBOX was easy to deploy – it didn’t require much training to get started. The ApplianSys support engineers guiding us understood our technical requirements well – we were assured that we were in good hands." 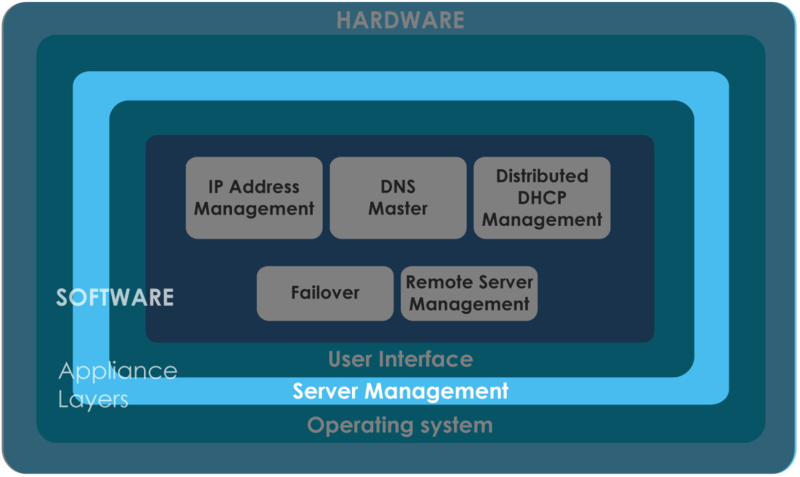 Nokia Siemens Networks (NSN), USA "DNSBOX is very easy to use. It's a better alternative to a virtual DHCP server, reliable and easy solution to implement." 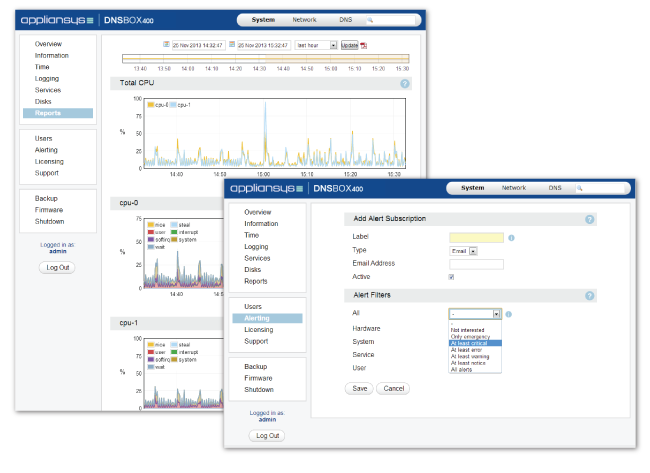 James Montoya, US Geological Survey, Colorado "I was the only person who could make changes on our old DNS solution but now customers can manage their own DNS space." Paul Schuur, Senior Consultant, Qwise BV, Netherlands "DNSBOX can be managed by non-professional technicians. 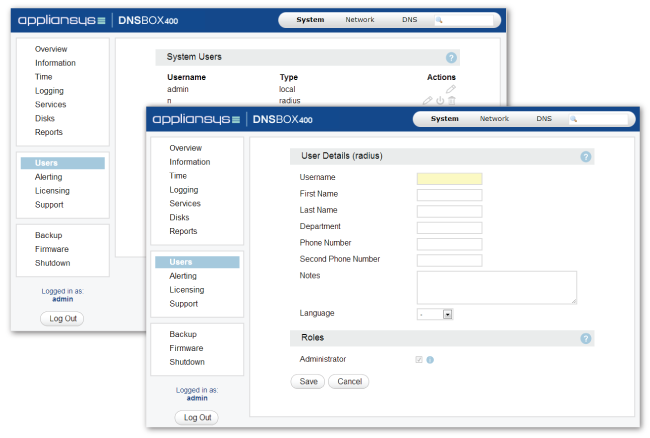 Just teach them a few quick steps then off they go"
Working with DNSBOX, you will immediately notice all the smart administrative features – user management, logging, backup / restore, alerts and so on – which make it far easier than working with a general purpose server. DNSBOX supports the automated logging of system-level messages (authentication, operating system, hardware and networking). These logs are for fault diagnosis; there is no need to review them routinely. Syslog files can be automatically redirected to a Syslog server elsewhere on your network to meet data retention laws or auditing requirements and assist in investigations. You can view recent messages and alerts directly from the Appliance Interface. ApplianSys provides regular updates to add new features, improve performance and respond to new security flaws. These can be easily applied via the web interface. The upgrade mechanism has been developed to minimise disruption to your DNS. Services continue to be available whilst an upgrade is applied. When an update is applied, DNSBOX retains a copy of the previous firmware. If, for any reason you want to switch back, you can do so easily.